Ads - A new Skillshare class! I created a new Skillshare class on how to create an ad in InDesign. It contains layout, typography, Photoshop color modes, production to print or digital and output to pdf as well as packaging your files for the vendor. Here's the link if you're interested. 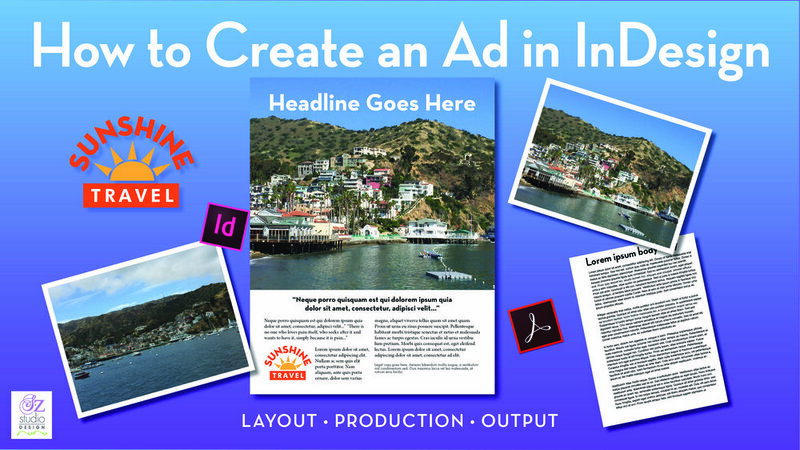 It covers the basics of a few InDesign tools, geared mostly for beginning Designs, but an entrepreneur could also use it to produce a simple ad for print or digital use. Materials are provided for practice, but you could also use your own images, copy and logo to produce the ad. If create ads, you might find these charts helpful. One chart converts fractions to decimals and the other converts inches to picas to points.